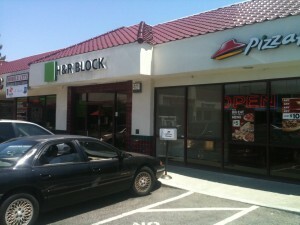 The H&R Block location at 700 South Winchester Boulevard is moving slightly south to 980 South Winchester Boulevard. Sources say the tax preparation outlet is moving to provide better visibility. 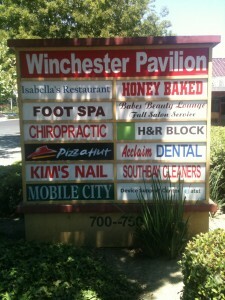 Located in the rear end of the Winchester Pavilion, it cannot be seen from the street. Travellers can only see the H&R Block name on a small sign in the front of the small strip mall. 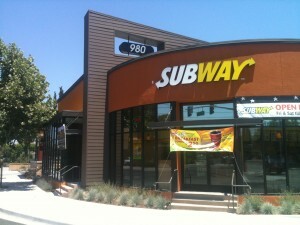 The new location beside the Subway in the new retail building at Winchester and Williams will give them prime visibility to drivers going up and down Winchester Boulevard. Jabelle Fashionetta at 700 South Winchester Boulevard in the Winchester Pavilion is having its Grand Opening. As predicted weeks ago by South Winchester News, this is a women’s clothing store. They offer a wide range of items from casual jeans, formal dresses, lingerie, and accessories such as belts, jewelry, and nail products. They are now having a Grand Opening Sale with a 15% discount and a free gift with purchase over $50 until June 1. 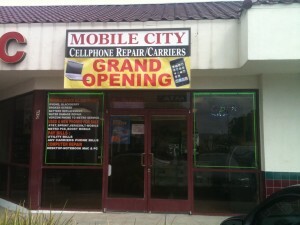 They are also offering a 10% discount on the 15th of each month starting June 15. Babes Beauty Lounge has just opened in the Winchester Pavilion at 700 South Winchester Boulevard. Babes moves to this location about a month and a half ago. Previously, they were located on Silver Creek Road in San Jose. Their web site still shows the old address. 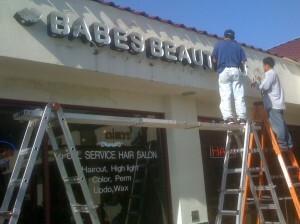 Babes offers services for all your hair and nail needs in a lounge-type environment. The web site shows photos of a sparkling disco ball. 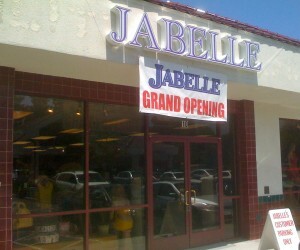 A new store named Jabelle is to open at the Winchester Pavilion at 700 South Winchester Boulevard. They have just put up the new sign. The windows are still blocked, but through an open door, I could tell that it looked like some kind of clothing store. It’s interesting that the For Lease sign is still in the window. Before Jabelle, this space was occupied by Little Dollar. It’s always sad when a business closes, but the less dollar stores and check cashing places in a neighborhood, the better. No indication when this place will open up. The sign on the building went up last weekend.